MANUAL THERAPY (MT) is a substantive and effective method of medicine which represents a complex of biomechanical manipulations performed by hands for rendering therapeutic modalities. A consensus study of US chiropractors defined manual therapy as "Procedures by which the hands directly contact the body to treat the articulations and/or soft tissues." Korr (1978) described manual therapy as the "Application of an accurately determined and specifically directed manual force to the body, in order to improve mobility in areas that are restricted; in joints, in connective tissues or in skeletal muscles." "The cause of all diseases is hidden in the spine," said Hippocrates. 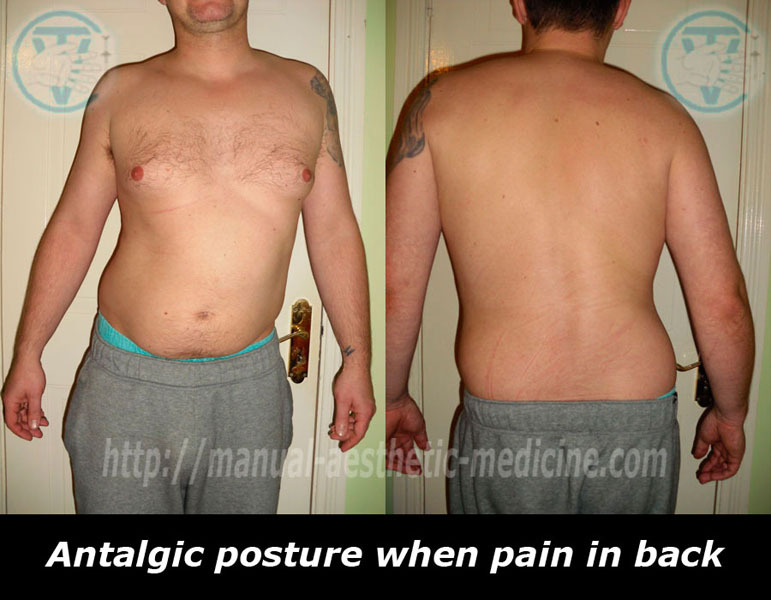 The main purpose of MT is pain management and functional recovery in the parts of the body on which it is used. MT is performed by a doctor who has a proper specialisation. The object of MT is spinal bones, coxal bones, cranial bones and their articulations – joints, muscles and the structure of connective tissue. MT is essential because it gives an opportunity to successfully treat many diseases that wouldn’t respond to treatment with any other method so far. MT is effective for pain management both in the back bone and joints and helps restore the normal movement pattern. 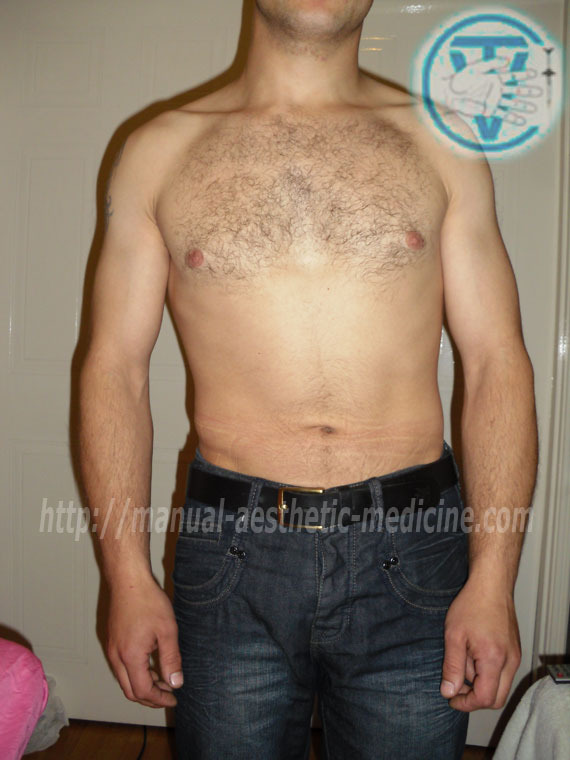 The basis of treatment of our patients is a multipronged approach assuming that various methods focused on one problem zone give a more rapid and solid result. They include: MT and hardware techniques such as Scenar therapy and magnetophoresis as well medicines that are created exclusively on natural basis. In the work on the back bone we employ a private method of MT worked out by doctors J. Nesterchuk and I.Zinchuk in our modification. This method is made highly attractive by its simplicity and commonality, and it does not require knowledge of a hundred or more violent and at times even risky techniques. 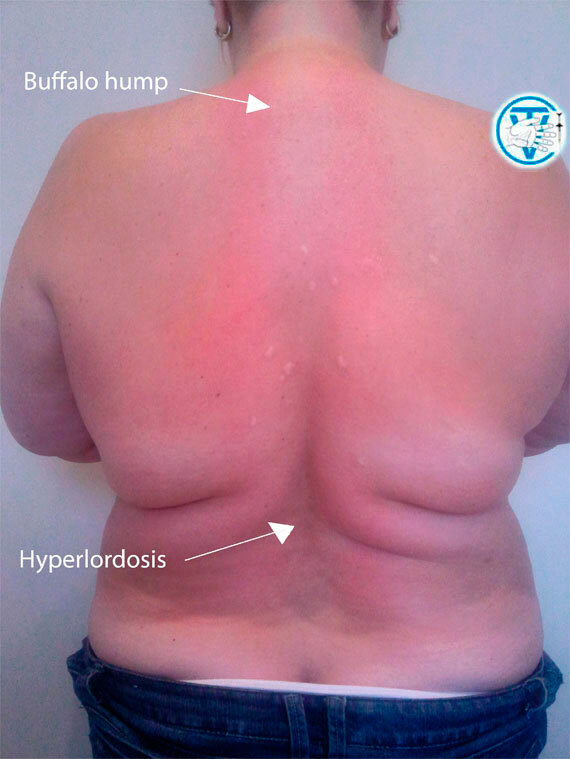 This method is exclusively effective (including the cases with the herniation of discs), and attenuated; it allows us to work with patients of the older age groups (80 years and older) and with women at different gestational terms. As an exception we regard the presence of contra-indications from the side of heart-vascular system and the diseases accompanied by fracture of the vertebrae. In our opinion, therapeutic correction should be carried out throughout the vertebral column as a single spatial and functional system in which the disposition of one department is compensated by changes in the other. According to autors opinion of the website, strengthening of calf muscles promotes strengthening muscle corset the back and first of all lumbar part. About ours method of treatment. In our work on spinal column, we use Sliding-pressing and sliding-pushing with traction and sliding-pushing methods of manual therapy. Reduction of pain is usually observed after the first session. 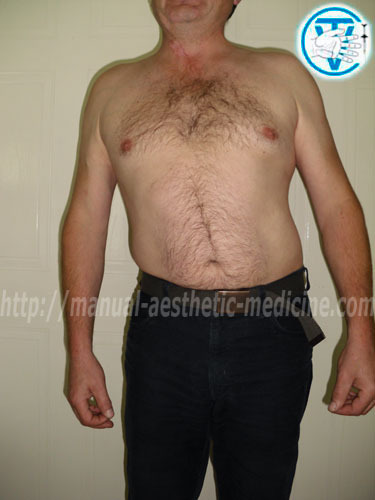 While treating patients with some abdominal disorders we apply key technique of visceral manual therapy. Diagnosis begins with a visual examination of the patient. Then, the patient is asked to lie down on his stomach. The condition of the patient is measured on the basis of tactile sensations received during sliding-and-pressing manipulations of the thumb along all the sections of the spine. Based on tactile sensations received by the thumb - plesimetra, the problem areas are identified (presence of blocked sites in the spinal motion segments, muscle spasm, seals, and other inflammatory changes in the surrounding tissues). 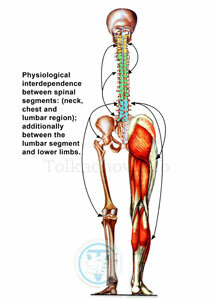 These manipulations are carried out along the entire length of the spine in order to harmonize all its sections. Predominant influence is focused on the problem areas and if necessary, the manipulation can be performed multiple times during a single procedure. As experience confirms, in acute cases of disease 1-3 procedures are enough in order to relax spastic muscles, relieve intervertebral discs, release the strangulated nerve and to eliminate pain, i.e. to achieve a clinical recovery. 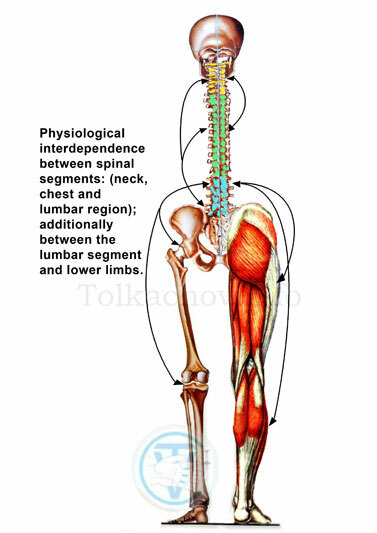 In the case of the chronic (degenerative) form of the disease, the task becomes much more complex, because despite deep structural changes both in the spinal column and the tissues surrounding it there exists chronic pain which is fixed within the central nervous system and has its own pathogenesis. It should be mentioned that some patients can have a problem in their spinal column for years and at the same time feel nothing, and only during a medical examination does it become possible to specify approximately the time of the beginning of the disease. In treatment of chronic patients combination therapy must be used; but it is time consuming and requires both skills from the side of the doctor and patience from the side of the patient. Essential role in the treatment is allotted to mesotherapy with homotoxicological remedies which have a good therapeutic effect and do not have side effects. When performing manipulations on the spinal column we do not use violent manipulations, because, as investigations of K.Lewit have shown, this encourages the backset of the disease. To conduct manipulations in an optimal way, it is important to have a certain criteria, allowing for the control over the pain intensity that the patient feels. One such criterion is: "The method of the visual evaluation of the pain intensity that the patient feels during the manual therapy treatment". Some information about the therapy we perform is available on our website. Correction of thoratic part of spine. 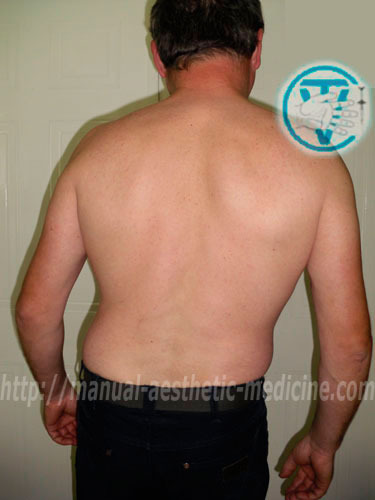 On presented photos we can see correction of lower back using manual therapy.